Publisher: Henry Holt & Co, New York, New York, U.S.A.
<b>Kathleen Hague</b> was born in Ventura, California, and attended the Art Center College of Design. 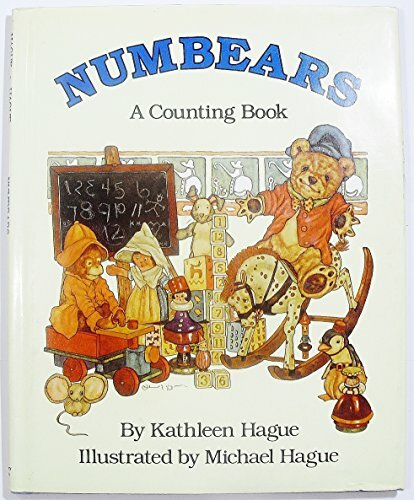 She has written a number of books that have been illustrated by her husband, including <i>The Veery Bird</i>, <i>The Man Who Kept House</i>, and <i>East of the Sun and West of the Moon</i>.<br /><br /><b>Michael Hague</b> was born in Los Angeles and was graduated with honors from the Art Center College of Design. His illustrations for <i>The Wind in the Willows</i>, <i>The Velveteen Rabbit</i>, <i>Mother Goose</i>, <i>Aesop's Fables</i>, and other children's classics have earned him a dedicated following and a reputation as one of America's finest illustrators.